“Before I only had broken shoes and my feet would hurt. I was so happy when I was given a new pair of shoes; they were so comfortable and made my feet nice and warm when I walked.” Moses, age 6. For Moses, the feeling of slipping on his new shoes was a world away from anything he had experienced in his earlier life. Moses and his twin brother Isaac’s father died when they were only one. Living in a one roomed mud and bamboo hut, they slept on the cold, damp floor without even a blanket to keep them warm. Until they were accepted into our children’s home, they would go many days without food, had only ragged clothes to wear and no protection for their feet. Last year, thanks to the generosity of people in the UK, Moses, his brother and nearly 4,000 other children woke up on Christmas morning, full of excitement to receive their presents. For many, their first ever pair of shoes! 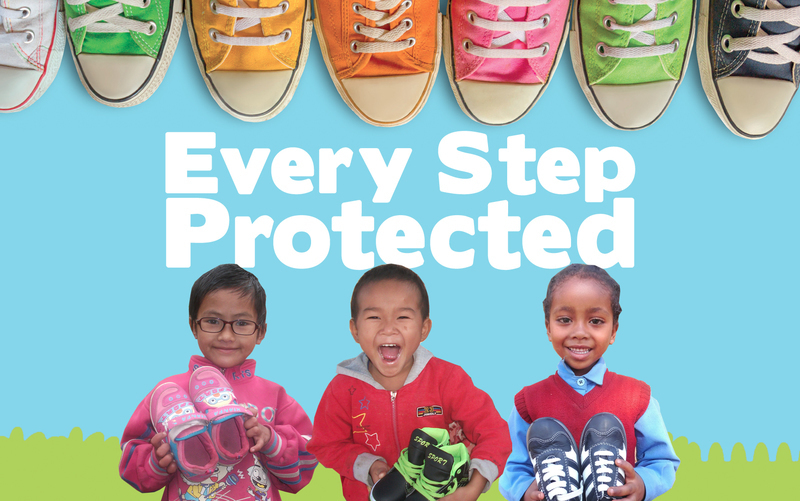 The gift of shoes protects our children’s feet from harm everywhere they journey throughout the year, on every errand and every expedition. But last year’s shoes are now worn out and our kids’ little feet just keep on growing! That is why we need your help to purchase a pair of shoes for every child in our care. Please visit our Shoe Appeal to see how a donation of £8 can make a child smile this Christmas. An eye test and glasses can dramatically change a child’s experience of life. When Alvaro told his mother that he was experiencing constant headaches, we made sure he received the help he needed to restore his vision.